The cool, high altitude track of Mexico City wreaked utter havoc on FP3 expectations, with Max Verstappen on top and all the top 4 covered by 0.170 seconds. That would be Hamilton, Vettel, and Bottas in addition to the Dutchman. It wasn't even his best possible lap as in all if his tries, he was unable to hook up the 3rd sector, leaving some time on the table to be found in qualifying. 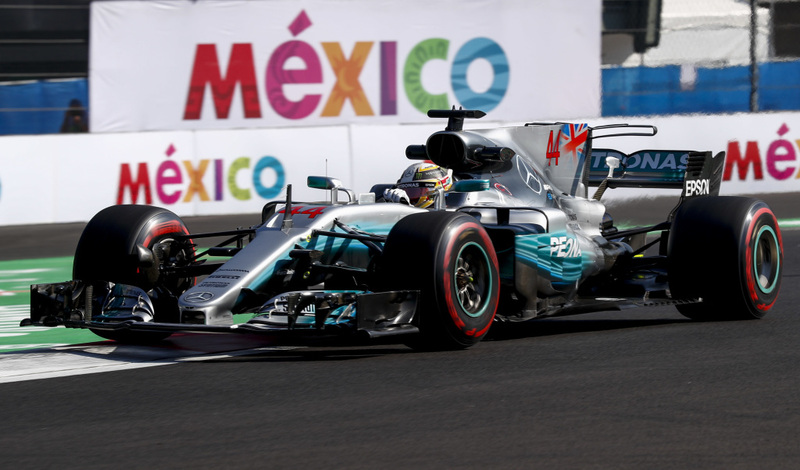 Of course, it was not exactly smooth sailing for Hamilton either, who reported power problems and was languishing in P6 after his first 2 runs before finally slotting into 2nd. The team said it was a calibration issue, though there was no confirmation as to whether they sorted it before the run that put him second going into qualifying. The worst news, though was reserved for Pierre Gasly who didn't even manage to get a solid lap in before his engine gave up the ghost, leaving him with about 10 laps at speed before quali on a track he's never raced before. Perhaps even worse, there was no sign as quali approached that his car would be ready. His teammate, Hartley, managed a rather more respectable P11 in a fairly unruffled fashion. The battle at Renault wound up advantage Sainz, but not before both drivers, locked up and helped out by cutting the grass. It was a popular manuever, repeated throughout the weekend by the majority of the field. 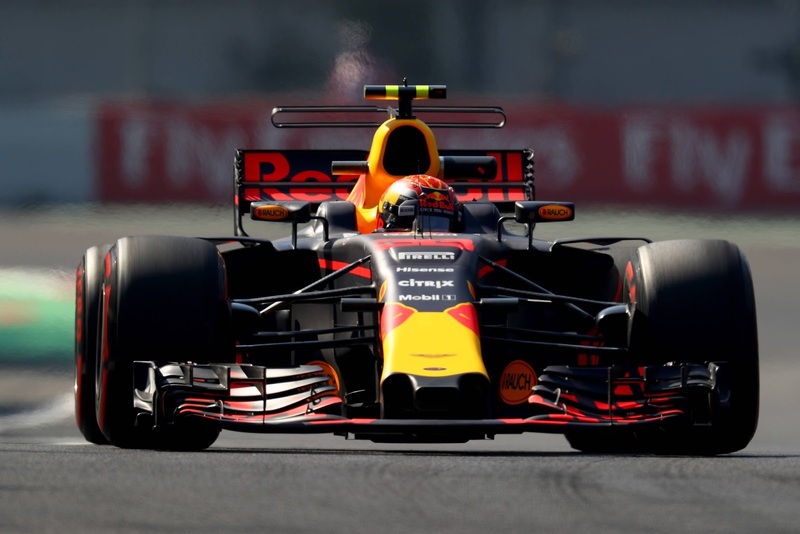 The demotion of Max Verstappen at the US Grand Prix has seen a major publicity pushback from the FIA, asserting that the stewarding and rule application was quite consistent. 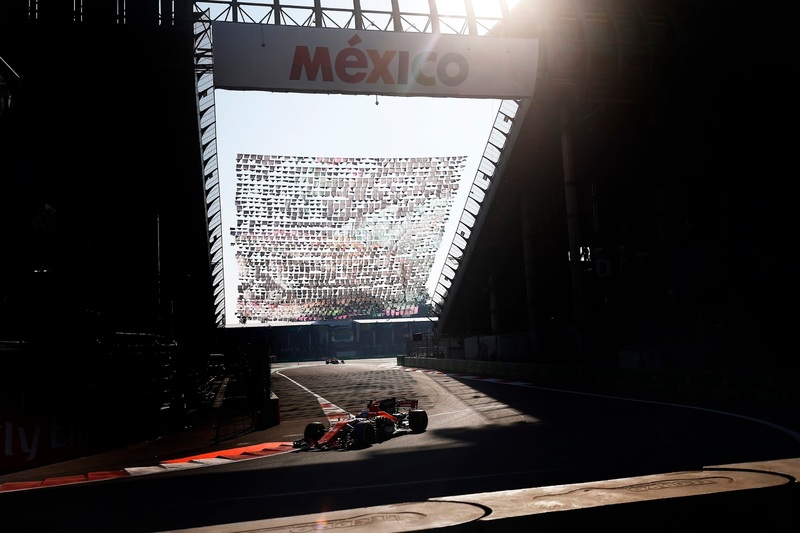 Despite these assertions, a remarkable amount of off track furniture has turned up in the Mexican GP, primarily to keep those sorts of decisions out of the hands of the stewards. Of course, the other demotion was the sad and undignified end to the Red Bull career of Daniil Kvyat, scoring his last point for the team and then being escorted to the gates where security met him with his belongings. So much for their new, touchy feely image, largely rehabilitated from earlier excesses. In anticipation of next weeks tech announcement from Liberty, Christian Horner was once again wishing for maximum displacement V12s, along with rainbows, unicorns and world peace. Not content to be put in a corner (and, dare I say, a wee bit jealous that F1 apparently was getting on fine without him) one Bernard Ecclestone lobbed some high hard ones, accusing the FIA of absolutely favoring Ferrari with technical regs, and suggesting that Mercedes had helped Ferrari with their engine, as they needed a closer contest to keep the paymasters in Stuttgart happy. He did not, however, offer any evidence to go along with his observations. The technical challenge of the circuit is enhanced by its altitude, less dense air reducing cooling, power (10% is the number commonly bandied about) and downforce. HAAS has already admitted this will be it's worst circuit and they confirmed it with their performance near the bottom of the grid. 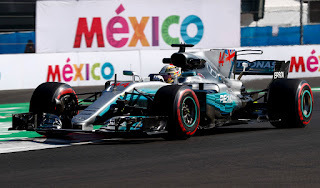 But due to this peculiarity, it also makes the circuit less power sensitive, which has brought Red Bull to the fore at just the right time to liven things up, given the looming victory for Hamilton in the WDC (he needs P5 or better to walk it). The immediate question is whether or not Mercedes magic quali mode can force enough grunt from their engine to make up for the very poised looking Red Bull. Green Light!! Grosjean, Magnussen and Ericsson were first out to play with Hartley, Vandoorne and Wehrlein not too far behind. With the first minute gone, Raikkonen was the first of the frontrunners to rock onto the circuit. Vettel trailed him as Grosjean ramped it up for his first lap at speed. RoGro owned the first 2 sectors, at least until Wehrlein came through and claimed S1. S2 fell to Vandoorne and as the Haas crossed the line the times indicated it was likely to be a 2 run time. But it was Hartley the best at least until Raikkonen and Vettel crossed the line, nearly 2 full seconds faster than the back of the field. 13 minutes to go and neither Mercedes or Red Bull had budged. Mercedes blinked first, sending forth Bottas, with Hamilton trailing. the Force Indias were out and doing battle as well, with Ocon looking to have the advantage in S1. Hamilton on the Ultras took top spot with a 1:17.518 as Red emerged, clad in the Supersoft tyre, copying Ferrari. Perez won the first round battle at Force India as reports of mayhem in the Toro Rosso pit, as Gasly, sat about in civvies was reportedly told to get it in gear as the car might be ready after all. Hulkenberg rocked it in P9 and Sainz immediately went faster, P8 and 0.2 seconds up. Alonso to P5 as yesterday's anemic showing was put to rest, the latest Honda looking to be modestly competitive, at least affixed to its current chassis. AS the track emptied, Ricciardo on the Supers banged in a P8 as the rest got ready for their last go at Q2 glory. Hartley was first out, on a dead empty track and nailed a personal best, up to P13. Vandoorne, Magnussen, Ericsson, Grosjean had it all to do with Wehrlein on the bubble. Hulkenberg had gone out and had another go earlier, his second go good enough to outpace his teammate. The farce continued at Toro Rosso as Gasly was back into civvies, quite possibly the victim of a prank (no, really). Also farcical was Alonso's call of no turbo as he was back on track. Apparently it got sorted as he confirmed his form, and even nailed down a purple S2 to boot. Done like a dinner were Ericsson, Wehrlein, Magnussen, Grosjean and of course Gasly, off in search of Birria. The rest turned it around for Q2 as the promise of a clean slate and the promised land of Q3 beckoned in the distance. Vandoorne led the way followed by Bottas and Hamilton, all on the Ultras. Raikkonen trailed out by himself, and the a quartet of Ocon, Alonso Vettel and Perez, engines howling in harmony. Bottas pwned S1 as the Merc battle took centerstage. Hamilton through in the towel halfway through S2 as Bottas kept the throttle pinned, going 1:17.161 as Lewis reset to go again. But before Lewis got round to the line, Vettel crushed a 1:17.058, new track record, even as Hamilton was fully on it. And on it he was, going 1:17.035 awaiting only the appearance of the Red Bull. Out they dutifully came and just as Verstappen was on it with 9:45 to go, Hartley radioed in a loss of power and out came the yellows. He was quick to find the escape route and rolled out of the way, but not before thoroughly ruining the Red Bull's lap. No worries for the Dutchman as he put in a stonking lap, 1:16.524, to the sound of jaws hitting the floor around the world. Ricciardo wasn't playing the same game, 1.1 seconds off, having had to lift off during his effort for traffic. Sainz P7 and as they took to the track for the last go at glory, Massa, Hartley (natch), Stroll, Alonso, and Vandoorne had it all to do. The Mercedes were back out, despite being well assured of making Q3 as Stroll and Massa led the way for the final laps. P11 for Stroll until his teammate crossed the line, putting him down a place. Ferrari, too, had come back out to play. 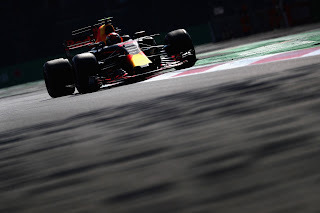 As time ran out and the checquers flew, a purple S2 for Vettel promised improvement and it was P2, into the 1:16s but not quite enough to knock Verstappen from the top of the heap. Bottas failed to improve much but the Hulk did manage to park it just behind Sainz. Ocon, meanwhile, had gotten the better of Perez headed into the final session. Verstappen on the radio said that 1 timed lap was NOT the way to go, the double yellows apparently having worked to his advantage. 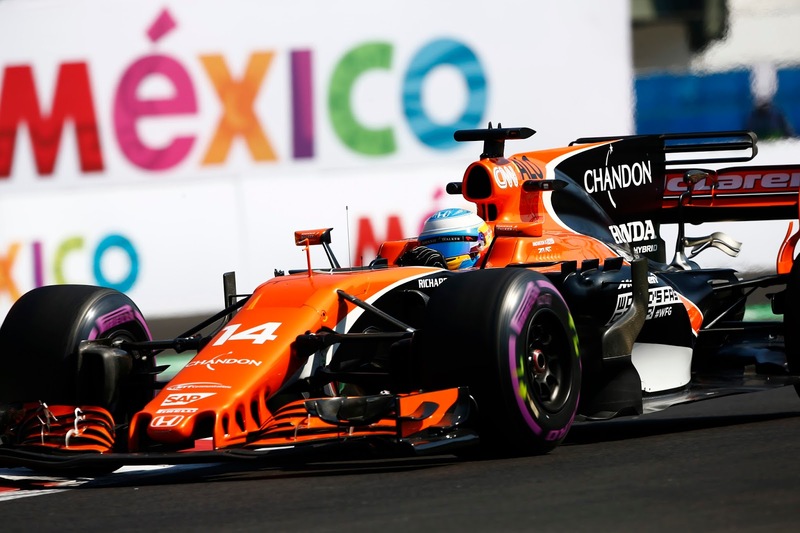 Massa, Stroll, Hartley, Alonso and Vandoorne were off in search of the tequila as the rest turned it around to tilt for the ultimate palmares. During the session the track temps had spiked and as the last session approached, it was up to 47°C, approaching the neighborhood that causes much hair pulling at Mercedes. Verstappen was first out of the gate, chased by Bottas and Hamilton. Hulkenberg, Raikkonen and ricciardo were the next trio onto the circuit and Sainz, Perez and Ocon followed suit. Vettel waited and it was going to be a solo show for him. Bang!! Verstappen purple S1 but this time it was Bottas going quicker. Verstappen lifted off though as Valterri kept it buried and it was quite the trafficky mess as Bottas bailed altogether and hit the pits. This left Lewis P1 as Max turned it up for his 2nd and faster go. Vettel outdid Lewis, who was clearly on an inlap and Verstappen was painting the screen purple, going 1:16.574 to Ricciardo's 1:17.447. 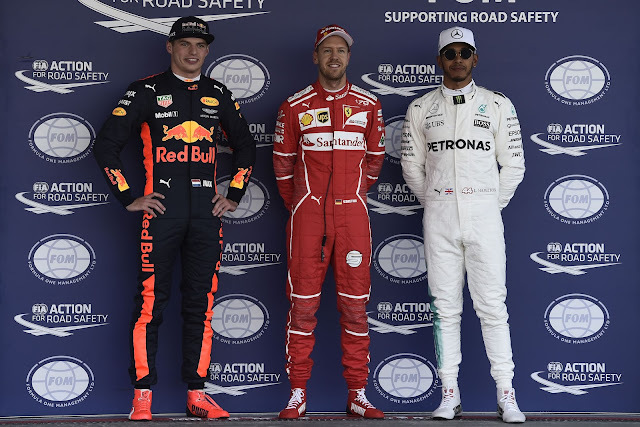 As they loafed it in, Verstappen, Vettel and Hamilton had the podium spots locked up, with Ricciardo and Ocon and Sainz rounding out the top 3 rows. 3:41 to go and Verstappen was on his way out, trailed by Hulkenberg. A bit early for the others, perhaps. but his 2 lap prep required more time than the rest, who were going with the 1 lap outlap. And then the thankful news, Max was being investigated for blocking Bottas on his first effort. As the rest of the field were on it, back around went Verstappen as Vettel was lighting it up purple. Mistakes from Hamilton did him no favours as he tried to wring every last tenth out and P3 was the best he could do. It was a different story for Vettel, clean and serene with a 1:16.488 and into P1 as Verstappen and Hamilton had both wilted a bit, neither improving in their last tumble. Ocon confirmed his utter superiority as best of the rest with a P6, just behind the Finnish club, Bottas and Raikkonen, P4 and P5 respectively. 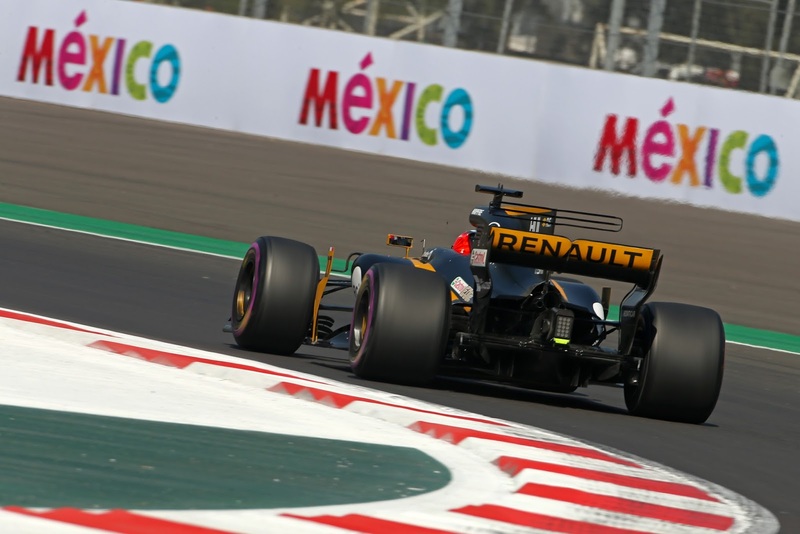 Hulkenberg found some redemption further back, leapfrogging Sainz for P8 as the clock ran out and it was Ricciardo with the most 'splanin' to do, P7 to his teammate's P2. Of course, Hulkenberg and Verstappen are running the latest spec Renault engine, unlike Sainz and Ricciardo, so there is that to start with. Tomorrow's race looks to be ticking all the boxes, Hamilton in his race for the championship, and Vettel versus Verstappen for the top step. Thankfully, they DON't have a history of getting into it when things get tight...../humour. Toro Rosso have some work to do after both of their cars lost engines and at the back of the grid all the talk was cooling, which will be even more vital tomorrow. Importantly as well, no Mercedes on the front row in like, well, quite a long time. 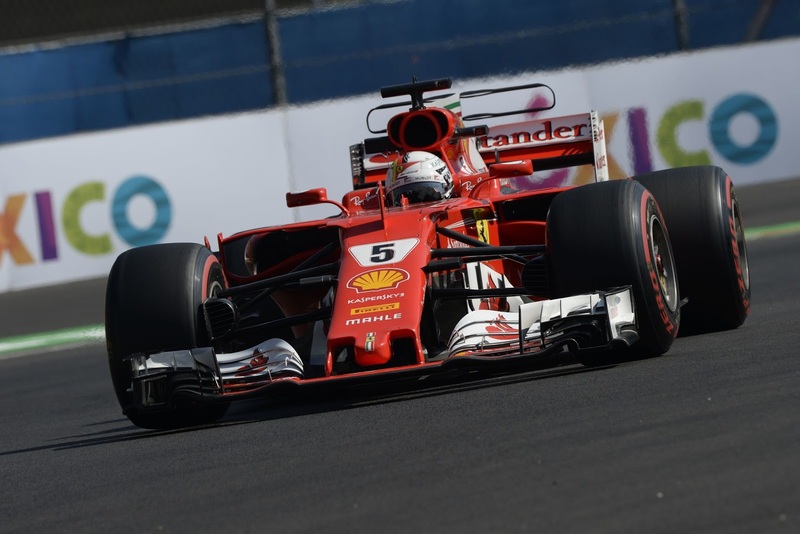 Teammate battles will be rather intense and of course, there has never been a race in Mexico without a Safety Car, since the race returned in 2015. Fun times! !